Kathmandu: A Nepali woman has died of suspected smoke inhalation while banished to a hut during her period, police said on Sunday, just weeks after the deaths of a mother and two children in similar circumstances sparked outrage. 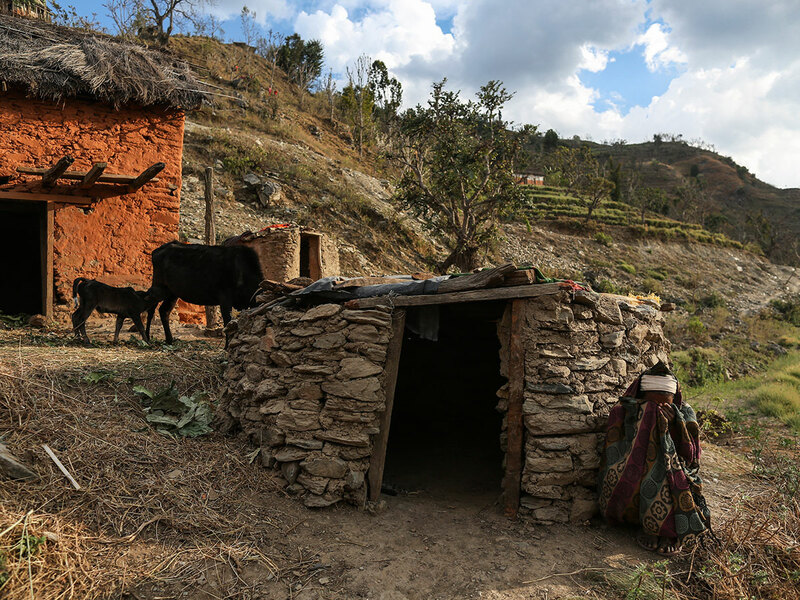 Many communities in Nepal view menstruating women as impure and in some remote areas they are forced to sleep in a hut away from the home, following a centuries-old tradition known as "chhaupadi". Parbati Bogati, 21, was found dead in a smoke-filled hut on Thursday morning in the western Doti district when her mother-in-law went to check on her. "We suspect she died due to smoke inhalation and suffocation because she closed the door of the windowless hut and lit a fire on the floor for warmth during the night," local police officer Lal Bahadur Dhami told AFP. The body has been sent for autopsy, Dhami said. Chhaupadi was outlawed in 2005 but is still enforced in parts of Nepal, particularly in remote and conservative western regions. The practice considers women untouchable during menstruation and after childbirth. Under Chhaupadi, women are barred from touching food, religious icons, cattle and men. Just three weeks ago a mother and her two sons in neighbouring Bajura district died of suspected smoke inhalation while observing the tradition. Their deaths prompted locals to demolish chhaupadi sheds in their village and local authorities to warn that services would be denied to anyone forcing their daughters and daughters-in-law to follow the banned practice. Last year, Kathmandu introduced a three-month jail sentence and a 3,000 rupee ($30) fine for anyone caught imposing chhaupadi. Ganga Chaudhary, a lawmaker who was involved in the drafting of the legislation, said much more needs to be done to enforce the law and change social norms. "We have realised that only legal provisions are not enough to end such practices. We need to focus on awareness and educating women," Chaudhary said.